Buttercups Early Years Centre had its third Ofsted inspection on 13th January 2017. The grade given to us is Outstanding. Needless to say, we are extremely pleased with our grading. You can see the full inspection report here. All staff provide high-quality teaching that thoroughly engages and suits all children. They are highly responsive to children's ideas. For instance, staff support children's interest in 'Knights' and provide excellent resources, such as books and toy figures. Children show exceptionally high levels of confidence and an excellent understanding of how to keep themselves safe. For example, children competently jump from banks and climb on low-level trees. They listen extremely well to staff who help guide them as they challenge their abilities. Children are extremely independent and manage their personal-care needs particularly well. For instance, they understand how to manage their body temperature by independently adding or taking off layers of clothing when necessary. The manager skilfully monitors children's progress to ensure that any learning gaps are swiftly addressed by staff to help children catch up with their peers. She carefully checks to see if there are any common issues in specific groups of children. Children of all ages are making outstanding progress and in most cases exceed their expected stages of development. They benefit highly from the excellent partnership working and consistent learning approaches with other settings that they attend. Partnerships with parents are extremely strong. Staff work exceptionally well with them to include them in their children's learning and keep them thoroughly informed of the pre-school practices. For example, parents attended a safeguarding workshop to learn about current guidance. Safeguarding is effective. Staff are exceptionally vigilant and have an extremely secure knowledge of what to do if they have concerns about a child's welfare. The manager constantly reflects on all aspects of the daily running of the pre-school to ensure staff consistently meet children's needs to the highest levels. She works closely with staff and values the views of others to plan ongoing improvements. For example, she quickly recognised the need to extend even further the partnership working with all schools that children are due to attend. The manager provides staff with excellent levels of support to develop their practice and knowledge. For instance, they attended extremely useful training about evaluating the environment outside to encourage children's development even further. 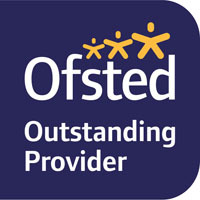 Staff have an extensive knowledge of children's development and uniqueness. The staff use outstanding methods of teaching to motivate and extend children's opportunities. For example, children flourish in the exciting outdoor environment that is used extensively. Activities are inspiring and full of challenge, for example, children work out together how to free a 'penguin' trapped inside an ice block. They choose and use tools extremely safely, such as a hammer to chip away at the ice, and staff use this activity to explain new words such as 'fragile'. Children eagerly choose what to do from the extensive range of high-quality resources. For example, they thoroughly enjoyed and very accurately used the numbered pebbles to practise their counting. beyond their own experiences. For example, they share video clips of festivals and celebrations around the world with children. Children have an extremely confident awareness of a healthy lifestyle. For example, they talk about how their 'tummy has run out of fuel' and it was telling them to eat as they had done so much running. All children progress rapidly from their starting points and are extremely well-prepared for school. Children have excellent opportunities to learn numbers through different games, such as 'What's the time Mr Wolf'. Children are enthusiastic learners. For example, when outside they excitedly practise writing with sticks and speak through talking pipes to extend their communication and language development.